Somehow, and I am not exactly certain how it happened, August is here. And the former teacher in me still can’t help but feel a sense of all the ‘back to school’ excitement, anxiety and more. I look at the aisles of pencils on sale and I wonder how many thousands I must have sharpened in my day. (I started the school year with about 1,000 pencils sharpened and ready to go. Crazy but true. And with the spirit of school ringing back into session, it often means that routines are back in place and that more often than not means early and rushed mornings. Wouldn’t it be amazing if this year, you started each morning a bit more on the calm and collected side? I know you are thinking, come on, I venture to do so every year and by the end of the first week I am literally pulling my hair out. Have no fear friends, it is possible and with a little bit of prep and planning, your mornings can have you feeling like you are kicking your legs up on the couch and sipping on a slow warm cup of coffee–ok, maybe not quite that, but one thing’s for sure–breakfast is gonna be a breeze! 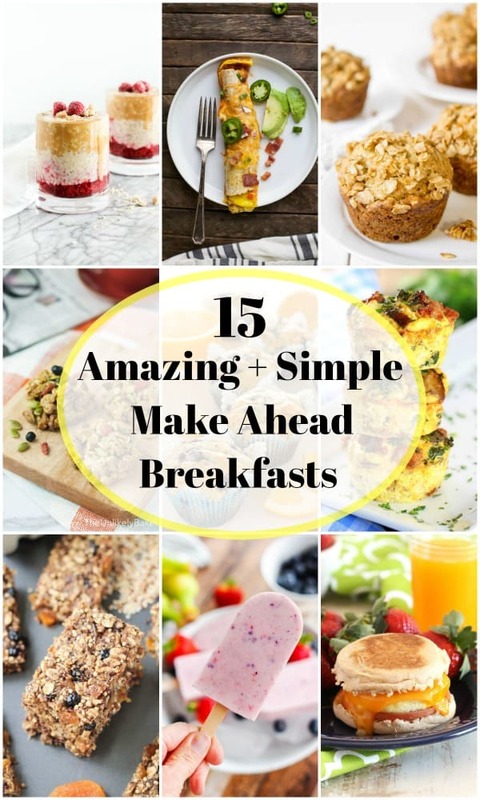 I have got a list of some of my personal favorites as well as some other blogs of simple breakfasts you can make ahead so all you have to do is grab and go. Too good to be true? Nope! 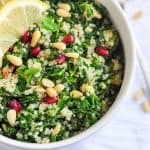 Take a little bit of time in the evening to prep and in the morning you will have a happy belly without having to set the alarm clock a half hour earlier. Everyone wins! Check out this list and get ready to take back to school on a high note this year! 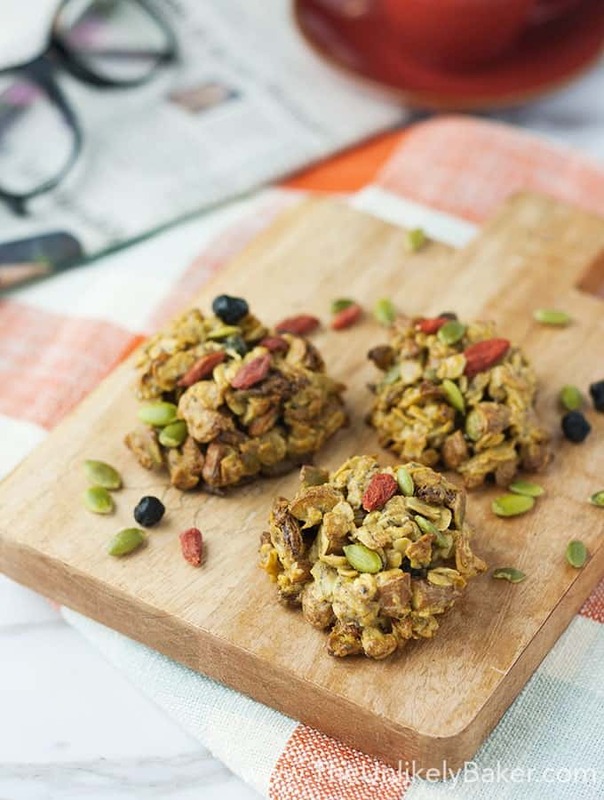 Superfood Breakfast Cookies from The Unlikely Baker | Cookies for breakfast? Who would ever say no to that?! Packed with oats, seeds and lots of goodness for a hearty breakfast that is quite literally on the go food! 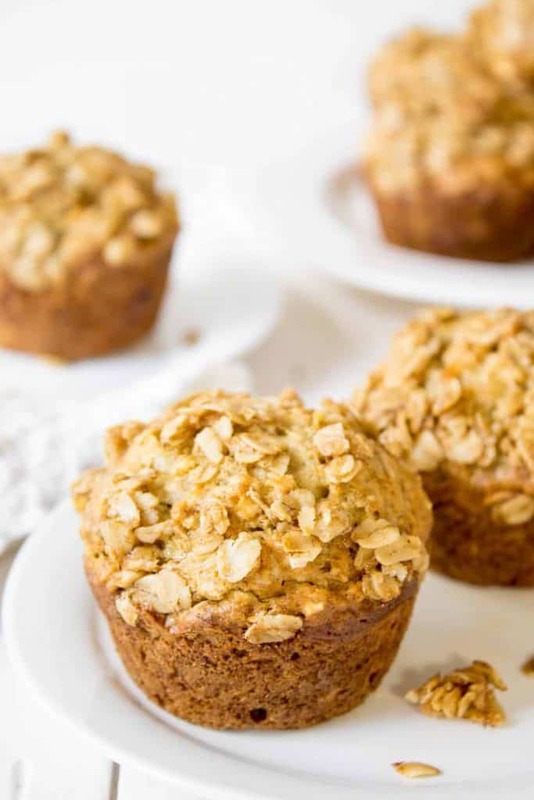 Oatmeal Banana Muffins from Beyond the Chicken Coop | Trust me, these will not all be oatmeal, but oats are such a great thing to start your day off with when you know you need to stay full and energized. And anything similar to banana bread is 100% the way to go for me! 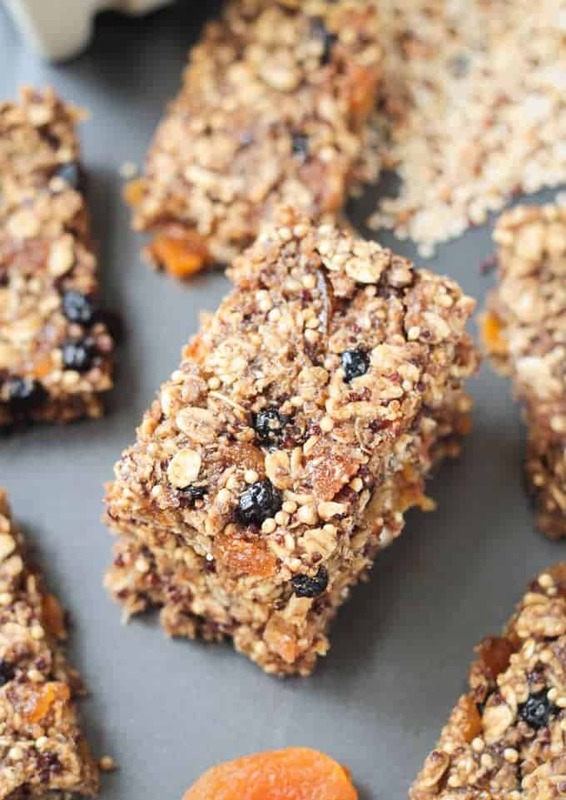 Ancient Grain Breakfast Bars from Veggie Inspired | Nuts and peanuts are becoming more and more unwelcome in schools due to allergies so having options that you can throw in the lunch box that are nut free helps. These simple bars are perfect to make ahead for the entire week! 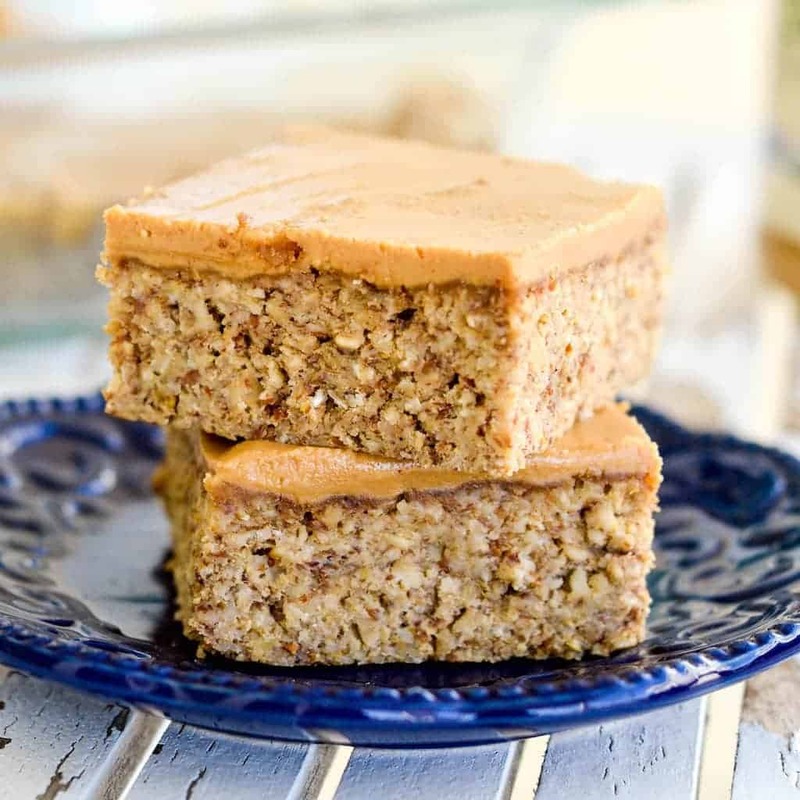 Peanut Butter Oatmeal Breakfast Bars | I have been eyeing these for a while and waking up early will for sure be so much better with one of these in hand. That thick peanut butter layer on the time just gets me! 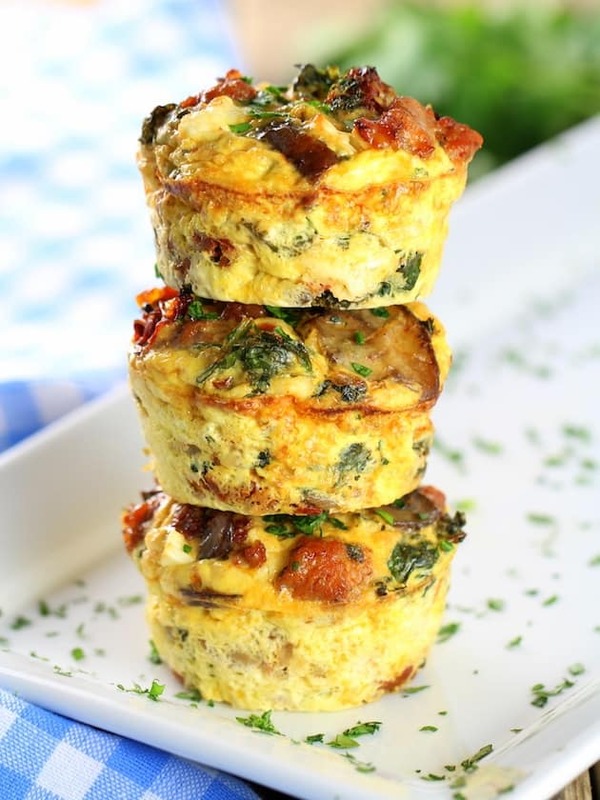 Breakfast Pizza Egg Muffins from The Flavor Bender | Everyone loves a slice of pizza for breakfast, right? These are totally customizable and another great breakfast to eat on the walk to the bus stop when you are just having one of those mornings! 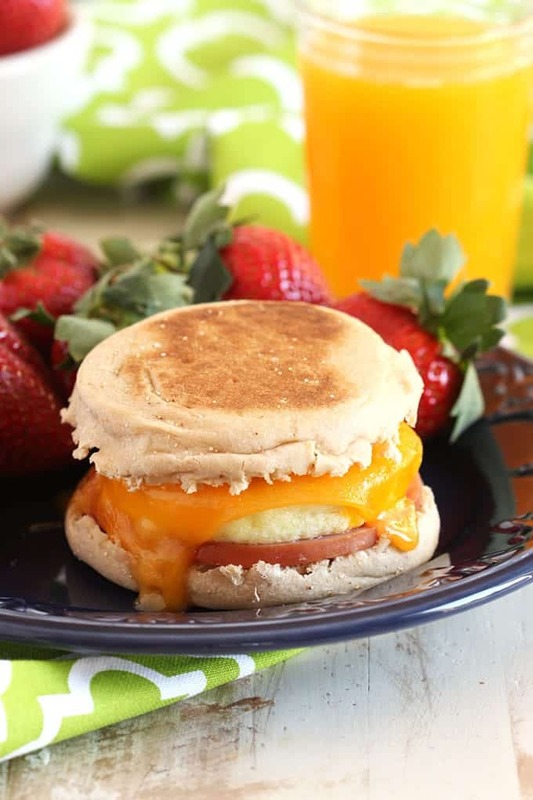 Make Ahead Freezer Breakfast Sandwiches from The Suburban Soapbox | You could get an Egg McMuffin, or you could skip the extra time it takes to run through the drive through and make a big batch of these that are ready to heat up in the morning! Banana Bread Overnight Oats from lemons + zest | This is hands down the most popular overnight oats recipe on the blog and always a fan favorite. I can’t get enough of these so hoping you will have the same problem, ha! 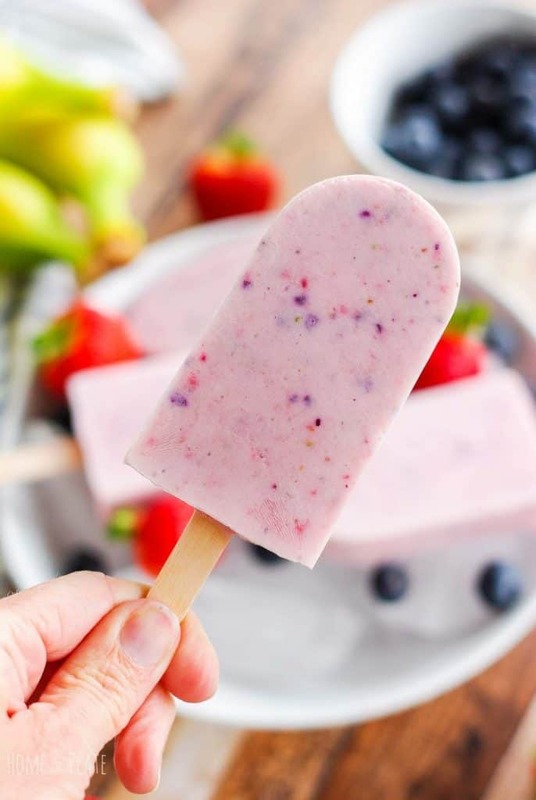 Banana Berry Smoothie Pops from Home & Plate | Smoothies are a little trickier to make ahead. If you make them and put them in the freezer, you have to thaw them which can cause some of it to be too warm. I think these pops make a smoothie easier and more fun to grab in the morning, don’t you think? 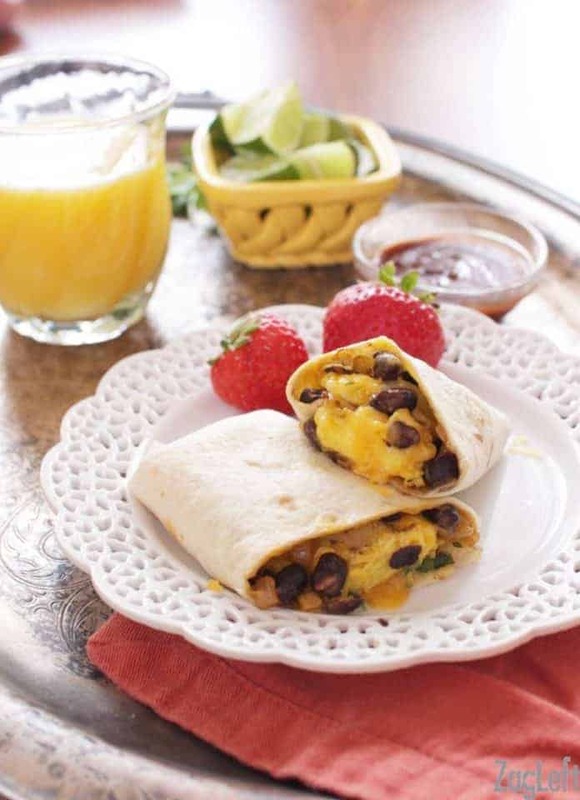 Make Ahead Huevos Rancheros Breakfast Burritos from One Dish Kitchen | Oh. My. Goodness. This is what I want to wake up to every single morning. Early wake up call? No problem! 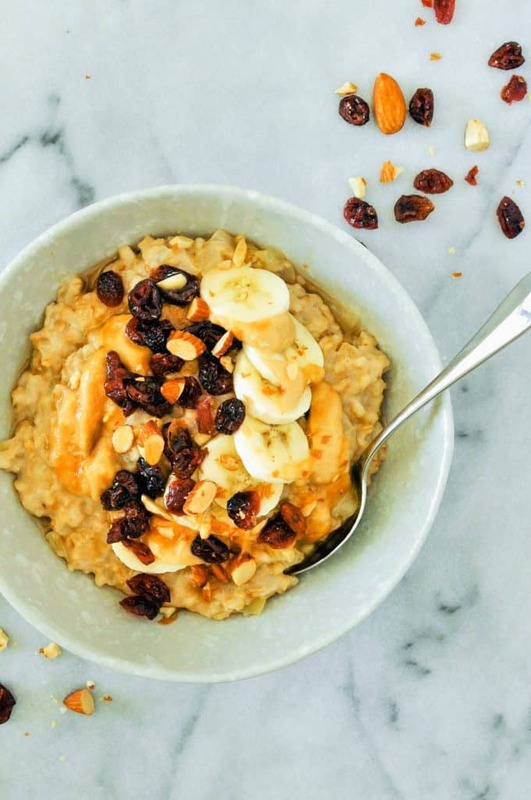 Slow Cooker Peanut Butter Oatmeal from This Healthy Table | Overnight oats are my obsession as you know, but waking up to fresh, warm oats wins for sure. Pop it all in the slow cooker and literally wake up to breakfast! 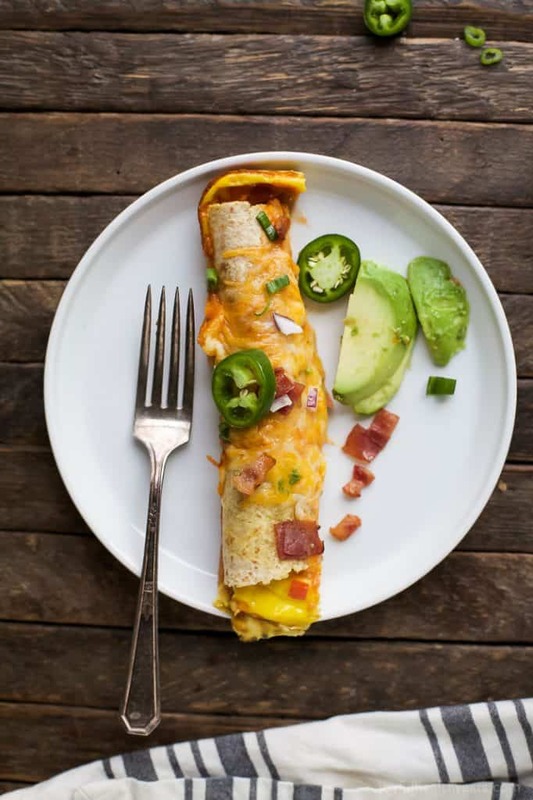 Overnight Breakfast Enchiladas from Joyful Healthy Eats | Yes, you will have to sit down to eat these, but as you should. I have a feeling these could double as breakfast for dinner as well, don’t you agree? 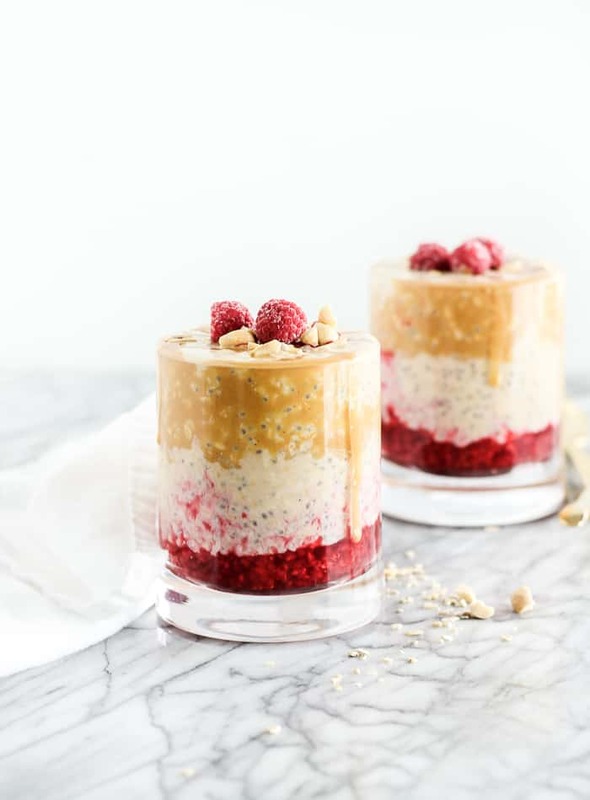 PB&J Overnight Oats from Lively Table | How could you not want to eat something so pretty? Take your favorite sandwich and have it for breakfast, in a bowl of course! 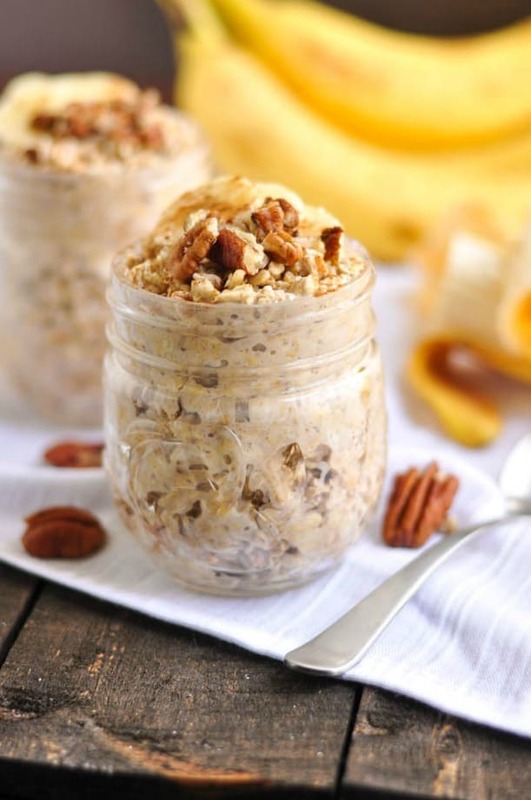 Kaleigh has some amazing overnight oats recipes so check them all out while you are there! 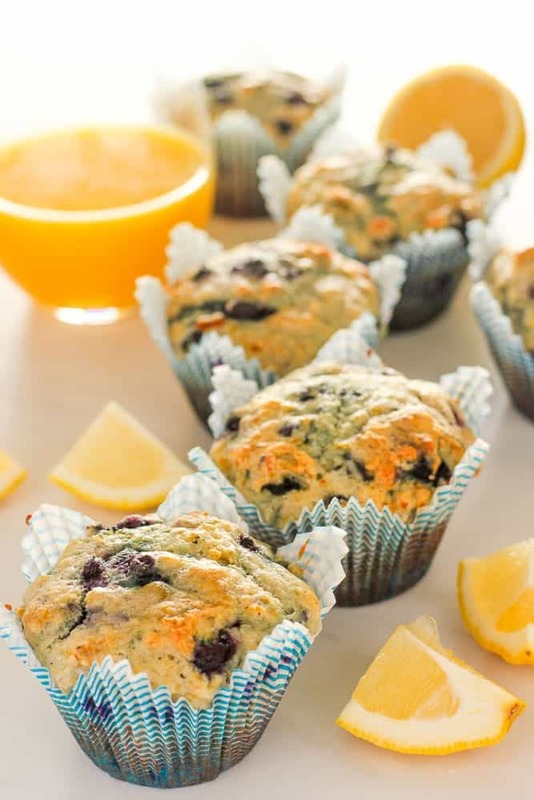 Lemon Blueberry Yogurt Muffins with Yogurt from Delicious on a Dime | Yogurt in muffins is always a great idea—it adds extra moisture to them and a little protein never hurts either. This is my FAVORITE combo aside from peanut butter and chocolate. 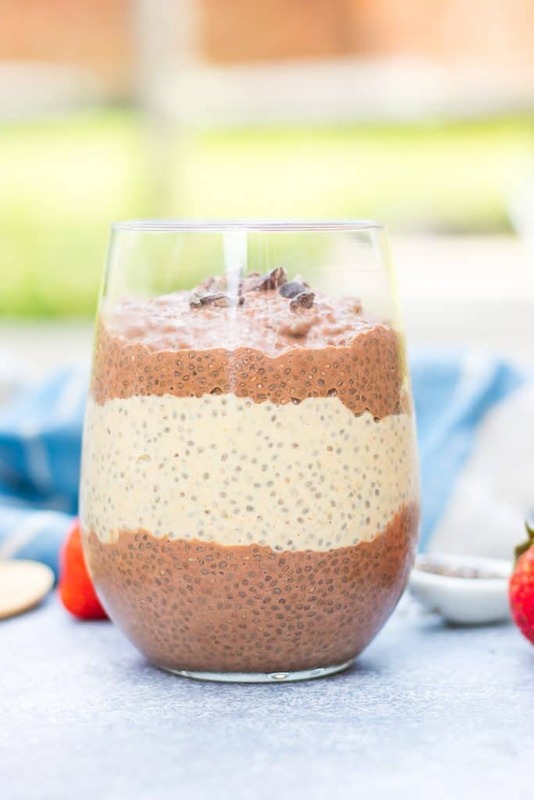 Peanut Butter Chocolate Layered Chia Pudding from lemons + zest | One other big fave from the site that is a make the night or two before and then enjoy. Chia Pudding not your thing? Throw it in the blender to make it nice and smooth! 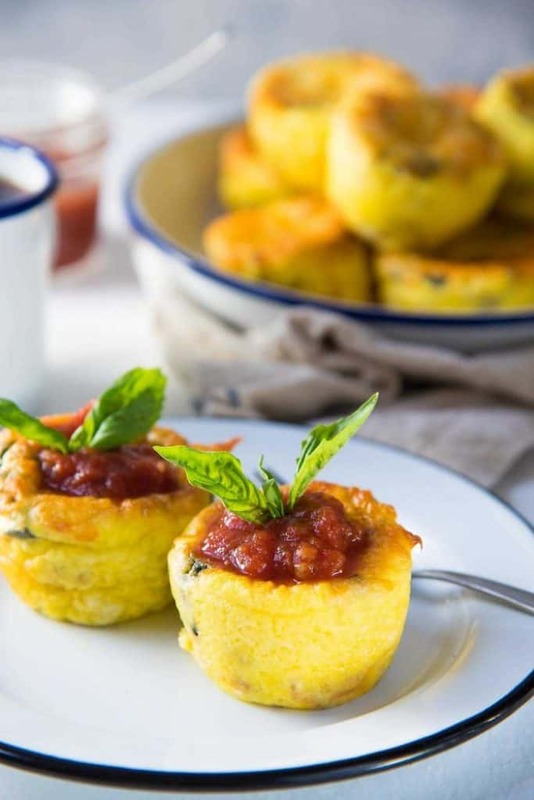 Kale Egg Breakfast Cups from Taste and See | This is another customizable recipe with lots of options for goodies. So maybe the kids won’t all want the kale, fine, but grab some for yourself. These are packed with flavor and all sorts of goodness! Loving these ideas . Thanks for your incredible blog. I look forward to your grreat recipe and the stories you add. 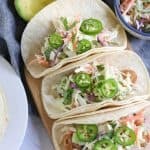 So many amazing make ahead recipes to try! Thanks so much for including my PB&J overnight oats! Breakfast is my favorite meal of the day. I have to admit, though, that on busy school mornings, we often resort to cereal. This list is going to help me be prepared to fill their little bellies with something more nutritious. Thank you for including my Breakfast Bars! You bet! It’s such a good one! This will be a life saver for all of the busy working parents in the morning! The kids will appreciate these breakfasts just as much as the parents! I hope so! Thanks Meme! Make ahead everything is my jam these days! So many options to choose from! Perfect timing! Life has been INSANE lately and I need all the simple make ahead recipes I can get! OMG I literally cannot believe that I am starting to think about sending Ran to preschool! His class is from 8-11:30 so its my mom goal to make sure I’ve got a good breakfast on the table every morning. Thank you so much for all of these wonderful ideas!